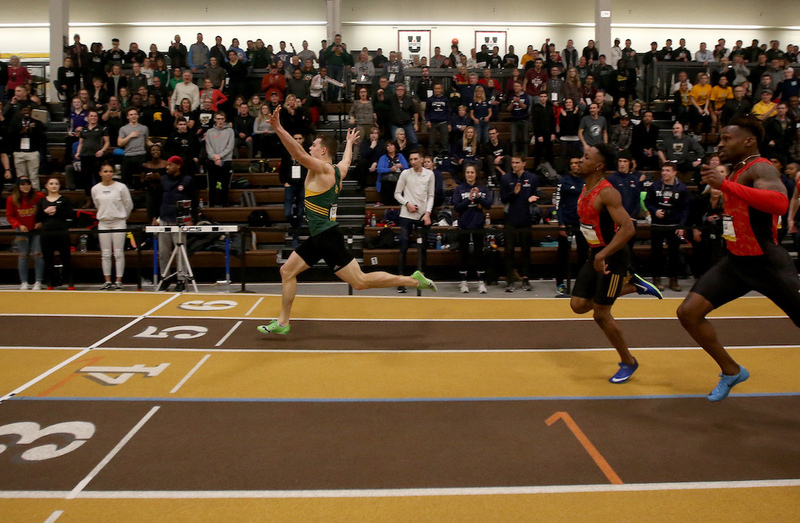 Two weeks after torching the Canada West Track and Field Championships in Edmonton, Cole turned in a historic performance at the U SPORTS Championships in Winnipeg. The third-year sprinter added to his already illustrious career with three more medals at the 2019 national championships, while also shattering his national 300-metre record. One year after setting the U SPORTS 300m record with a time of 33.37, Cole turned it up another notch this past weekend. His time of 32.89 set a new U SPORTS and U23 Canadian record and also earned him his third straight national title in the event. Cole added to his medal haul on Saturday with a silver medal in the 4x400m relay, and a bronze medal in the 4x200m relay. In three seasons, Cole has racked up nine U SPORTS medals. Prior to the championship, Cole was also awarded the 2019 U SPORTS Male Track Athlete of the Year. 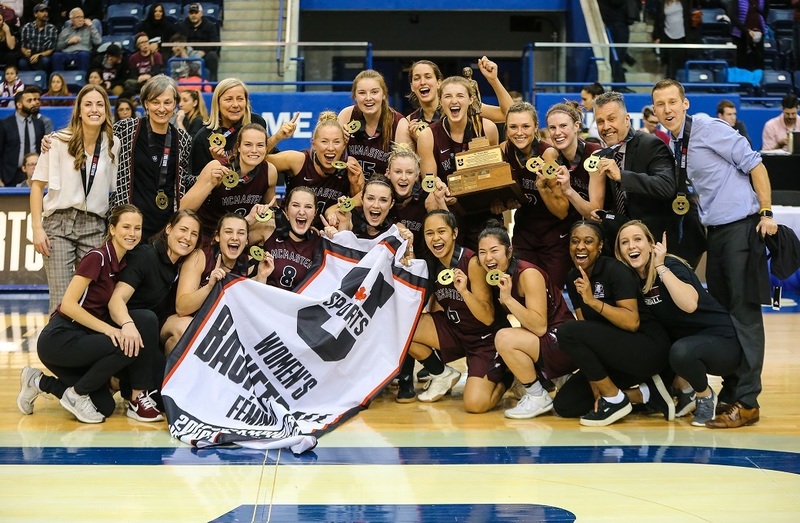 Linnaea Harper has been a focal point of the McMaster Marauders women’s basketball team for five seasons, and in her final stretch with the maroon machine, the senior left everything she had on the court to help her team reach historic results on the national stage. After winning the Critelli Cup a week ago, the Marauders entered the U SPORTS Final 8 National Championship as the No. 2 seed and had high expectations for their first Bronze Baby in school history. Harper was at the forefront of the team’s pursuit of this national title, impacting her team in several different ways across their three games over the weekend. In the opener, Harper shot 50 per cent from the field, including a pair of three-pointers, to rack up 14 points in her team’s quarterfinal win over Concordia. In the semifinals against the Saskatchewan Huskies, the Newmarket, Ont,. native took it up a notch and nearly came away with a triple-double in the process. The fifth-year forward finished with 14 points, 10 rebounds, and seven assists; a mark that included a red-hot stretch at the charity stripe where she knocked down 8-of-9 attempts on the day. With two solid performances under her belt and a shot at the Bronze Baby within reach, Harper saved her best for last in the gold medal game against the No. 1 Laval Rouge et Or. 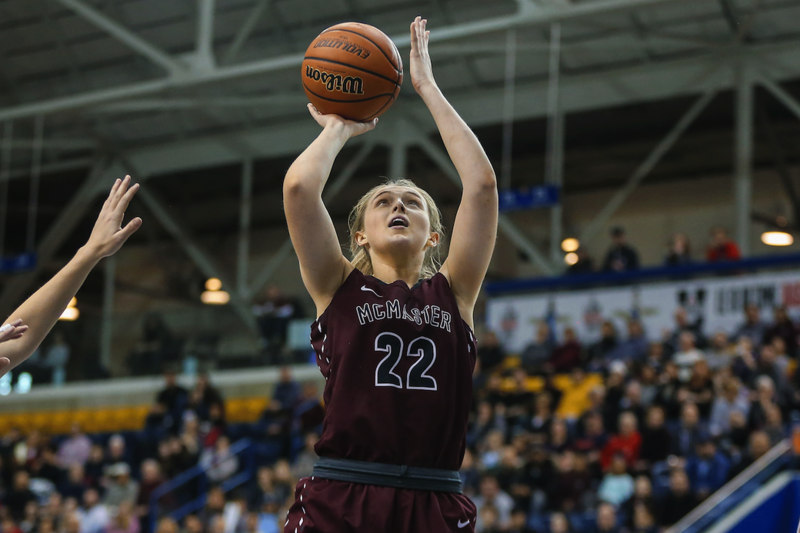 She went off for 18 points and nine boards, shooting 6-of-15 from the field, all while helping McMaster defeat the top-seed, 70-58, and secure their first national women’s basketball championship in the school’s history. After her three impactful outings, the first-team OUA all-star was also named the Tournament MVP.